Who are the five writers of Power Plays and what do they each bring? We chose writers who represent a range of experience and perspectives. Hannie Rayson, one of Australia’s leading playwrights, needs no introduction. We haven’t seen her work at STC for a few years, so it’s really exciting to be working with her. She’s wonderful at tapping into middle class self-loathing. This is about the way intergenerational conflict is fuelled by disagreements over social responsibility and personal entitlement. I worked with Melissa Bubnic last year when I directed her play Boys will be boys. Her writing is fierce in every way and she’s played loose with the ‘comedy’ brief for Power Plays, coming up with a very black comedy. I love her dark humour and the different, meaner flavour that it brings to the evening. Her play is a tongue-in-cheek musing on the culture of consumerism that drives us all to acquire more and more beautiful things… because we’re worth it. Nakkiah Lui has been honing her satire in TV-land, where she writes and performs in sketches for the ABC’s hilarious show Black Comedy. Anyone who has seen her on ABC’s Q&A will know that Nakkiah is also a political animal. Her play combines these interests – part political satire, part farce. It’s a gift to the actors. 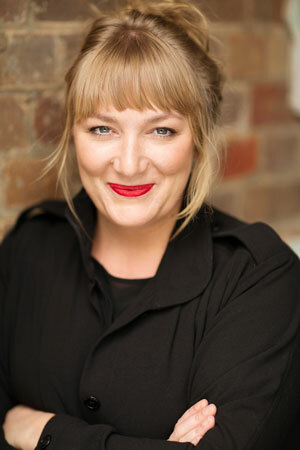 Michele Lee is an emerging writer from Melbourne that we wanted to introduce to Sydney audiences. She brings gentle comedy and a touching narrative about sisterhood to our show. She has a great nose for character and an interest in the way political issues impact everyday lives – exploring how camaraderie between women can bridge differences in class and power. A graduate of Stephen Sewell’s Writing for Performance program at NIDA and recipient of STC’s Patrick White Playwrights' Award, Debra Thomas is an exciting new talent. Interested in the power inequality between men and women, her writing is full of rage about the harassment of women online and how it clearly stems from a casual devaluing of women in the real world. She’s written a revolting male character that Steve Rodgers, who usually plays nice guys, is having a wonderful time bringing to life. With power as a guiding theme, how do the different parts speak to each other? The brief for all the writers was to come up with a 20-minute play about power. Their responses are wildly different and as such Power Plays is a celebration of the creativity and diversity of Australian writers. Although their plays vary greatly in terms of form and the kind of comedy that they employ, there are common threads that have emerged in them – the ideas of entitlement, disillusionment with politics and a new wave of feminism echo in many of the plays. The plays are tiny capsules written to entertain us, yet, side by side they give us time and space to reflect on the state of the nation. How do you design one set for five plays? It’s important to me that the night comes together as one – that we don’t view it as an anthology of short stories, but as chapters in a novel, each building on what has gone before. The design has been crucial to unifying the plays. David Fleischer, who I have worked with many times, is brilliantly inventive and has found ways to transform the space quickly, while keeping a sense that we stay in the same world. The cast have to play a number of roles so I needed chameleons; actors who could switch between characters and worlds easily. I cast the show before the playwrights had begun writing so that they could create roles specifically for this cast. All of these playwrights are female. Is that by design or coincidence? A bit of both. Polly Rowe, STC's Literary Manager, drew up a long list of writers for the project which was heavily weighted with female writers, so Andrew Upton decided to make that a feature of the project. There are no shortage of brilliant, female writers in Australia and it’s always pleasing to see the gender imbalance that usually favours men redressed.